Download the Yell and Tell App to your tablet or smartphone! 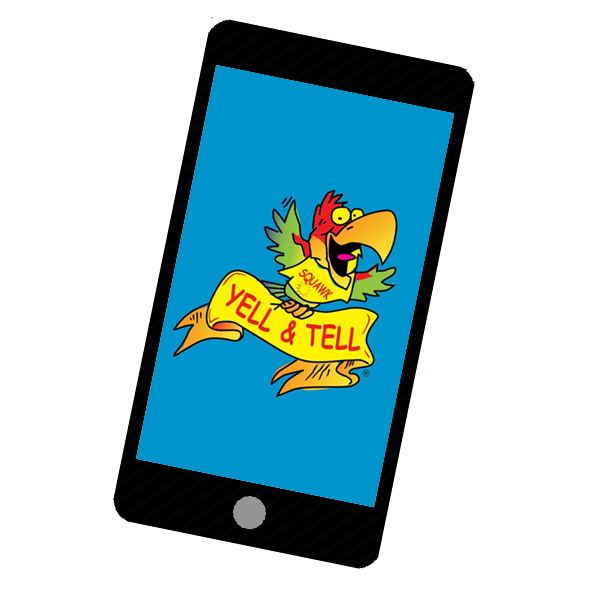 The Yell and Tell app is a teaching and reinforcement activity app. Parents can download the app and teach their kids or have them learn and interact on their own. It includes many of the videos and activities featured on this site plus a picture taking feature that allows children to add the Squawk mascot to their photos.